KLCM is an independent, registered investment advisory firm located in Milwaukee, Wisconsin. Collectively, our lead investment principals have over sixty years of experience working with individuals, corporate sponsors, and institutions in building balanced and equity portfolios that meet specific needs. 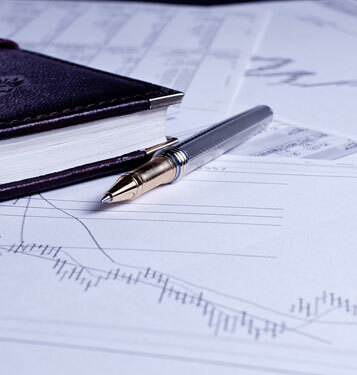 Our expertise revolves around faithfully executing our value investing philosophy, with a focus on preservation of capital as well as earning attractive returns. To be responsive to the needs of our clients and provide the highest level of customer service. To achieve real growth of capital. To outperform the major market indices over full market cycles through strong relative performance in weak markets and participation in strong markets. Continuity and Consistency — Investment principals have been working together, as a team, for over twenty five years. Fiduciary Approach — Will accumulate cash when attractive investment options are limited. We do not look to mirror the market or an index. Proven investment process and results. Focus — A single equity investment style. Will drift relative to market capitalization, and are proud of that. Long term investors — We do not focus on ‘the next quarter’. Uniquely positioned — Small enough in size to effectively take advantage of market opportunities. Large enough to have access to management teams and research resources. Client centric. Risk tolerance, age, tax situation and income needs vary among clients and portfolio construction needs to reflect those distinctions. Market opportunities will also vary dramatically over time and are reflected in portfolio construction. Not benchmark driven. Opportunistic across sub-classes of fixed income to find best risk/reward characteristics. Flexibility to own or not own municipals, corporates, preferreds, agencies, and/or Treasuries. Strong credit analysis, based on a fusion of equity and fixed income analytical work, allows the use of a wide range of credits and meaningful enhancement to portfolio yield, particularly early in the credit cycle. Cycle awareness is critical in understanding when compensation is adequate for owning lower than investment grade credits, extending duration, or owning smaller issues. We have lived through numerous economic cycles, seen the dramatic conclusion of a 30 year fixed income bear market and now the conclusion of a 33 year bull market (1981-2014)!